Gen. David Goldfein, U.S. Air Force vice chief of staff, has said he agrees with Senate Armed Services Committee Chairman John McCain (R-Arizona) that the service branch should disclose the value of the B-21 Long-Range Strike Bomber contract, Breaking Defense reported Thursday. 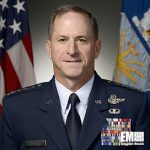 Sydney J. Freedberg Jr. writes Goldfein made the remarks during a Senate committee hearing Thursday about his nomination for the chief of staff post at the Air Force. “I believe that if we’re not transparent with the American people on the cost of this weapons system, through its elected leadership, then we have a good chance of losing this program,” Goldfein said. Northrop Grumman was awarded a contract in October to develop the B-21 plane. Goldfein also mentioned that the Air Force is scheduled to hold a milestone A assessment for the Long-Range Stand-Off weapon and issue a request for proposals for the Ground Based Strategic Deterrent program in the next two weeks, Freedberg reports. The report said the LRSO system will replace the service branch’s current Air Launched Cruise Missile technology while the GBSD platform will serve as a replacement for the Minuteman III intercontinental ballistic missile.